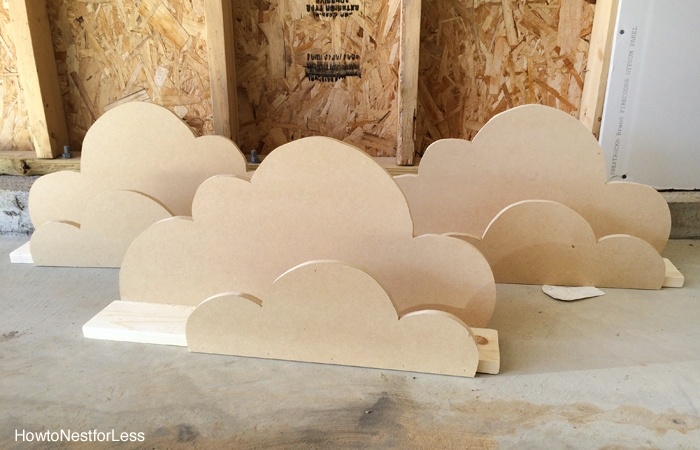 My favorite project from my nephew’s bedroom are his new new DIY cloud bookshelf ledges. We basically took the same idea from the bookshelf ledges in Ellie’s bedroom, just put a fun twist on it! We built all 3 of ours for under $30! This was an easy DIY project too, taking us less than 2 hours to build and paint! Don’t let the supply list scare you. 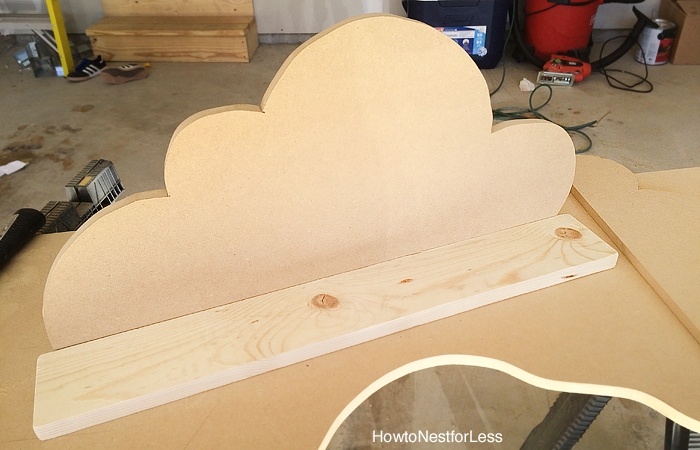 The DIY Cloud Bookshelf Ledges are actually quite easy to build these. 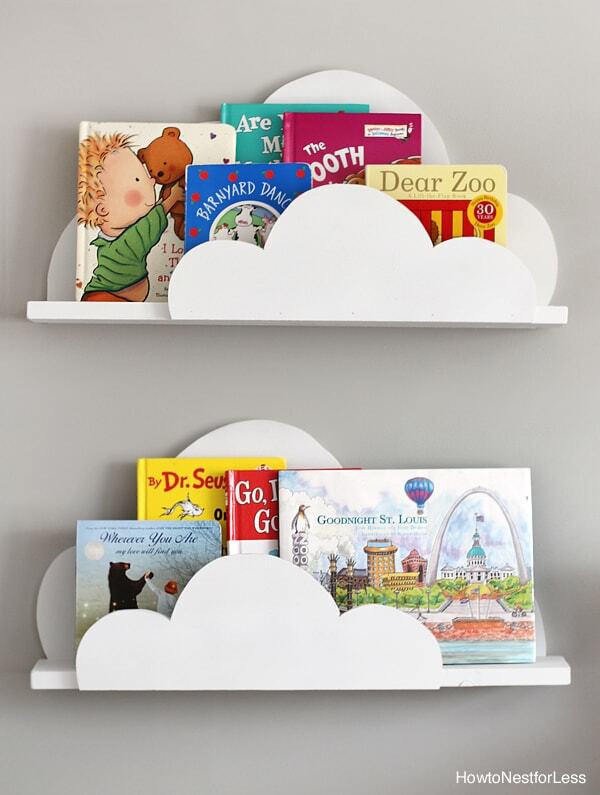 First thing you want to do is decide how long you want your cloud bookshelf ledges to be. We opted for 2ft wide shelves and we needed 3 of them total. So we used our compound miter saw to cut the 1×4 board into (3) 2ft boards. Then we sanded the edges. Next we traced out the large clouds on the MDF board (by the way, the 4×8 board is WAY more than you’ll need for this project, expect lots of leftovers). OK, so we didn’t have a template for the cloud, I just kind of winged it. Google “cloud clip art” to get some ideas for shapes. I decided to make the clouds a little smaller than the 1×4 boards we cut so the bottom length of the cloud is 22 inches total. 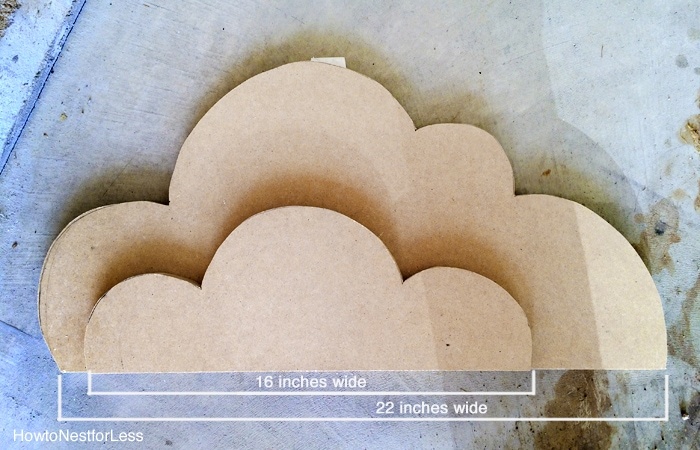 Mark your MDF and draw your large clouds from those lines. Hint: I only drew one large cloud, cut it with my jigsaw, then used it to trace the other large clouds. Once you have all 3 large clouds cut with your jigsaw you’ll want to cut your 3 smaller clouds (I drew these clouds at 16 inches wide each). 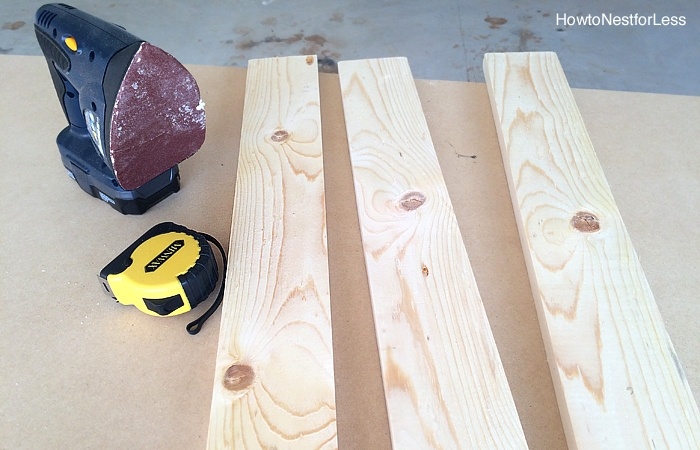 Don’t worry if your shape looks a little rough after cutting, use your power sander to smooth out the edges. Once you have everything cut it’s time to put the shelves together. Lay the 1×4 down on a flat surface. Place the large cloud behind it, flat side down flush with the 1×4 board. Use your 2 inch screws to attach the cloud to the board (we used 4 screws in each). 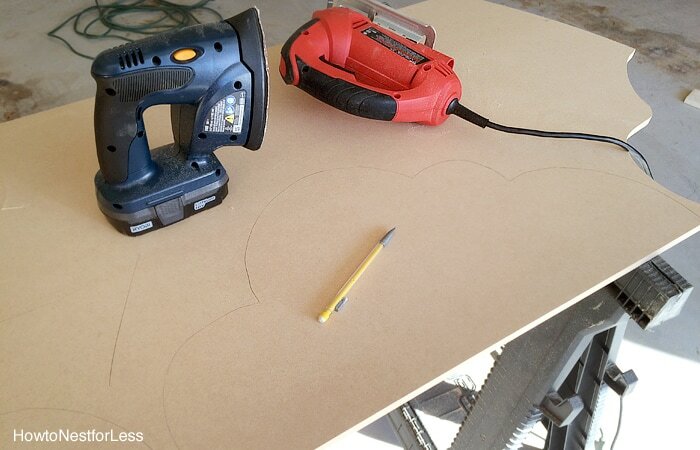 Then line up your small cloud to the front of the 1×4 board and attach with your nail gun. Since we built 3 bookshelf ledges and used the same large and small clouds as templates for all 3, on one of the bookshelf ledges we just flipped the clouds so they faced in the other direction. You can see below the two right bookshelves are the same and the one on the left is the opposite. 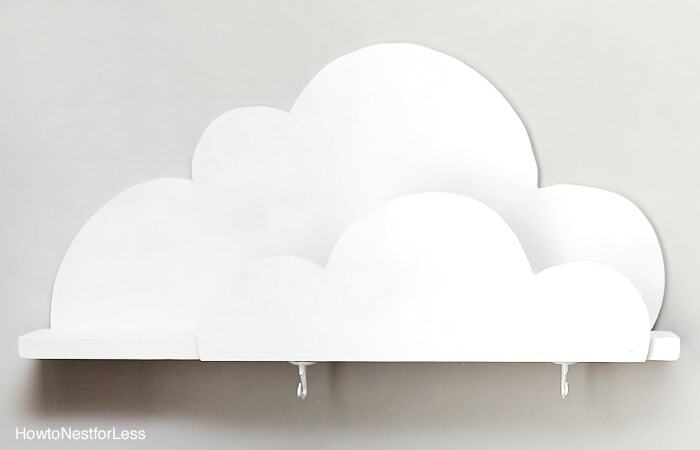 Paint the DIY Cloud Bookshelf Ledges white and let dry. To hang, use a stud finder to find your stud. Then drill a part of the large cloud directly into the stud and countersink your screws. 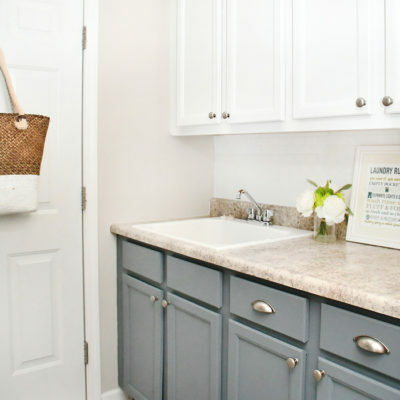 Use a little wood filler to fill the gap and touch up with white paint. For one of the shelves we decided to put some white hooks on the bottom so my nephew could hang some clothes from the ledges. 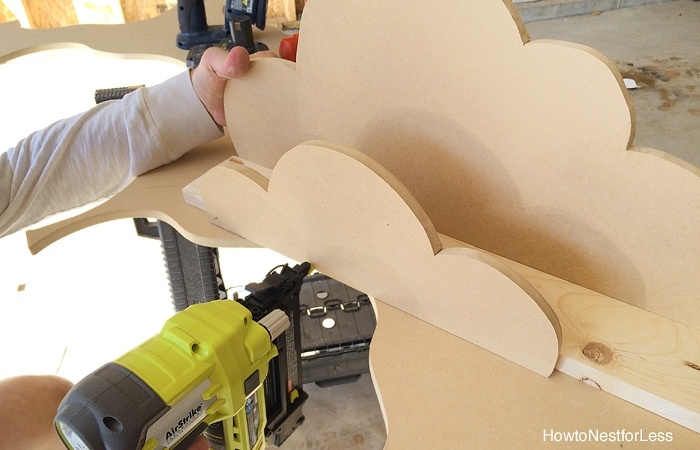 If you think about it, the shapes for these DIY Cloud Bookshelf Ledges are endless. If you have the basic idea you can create anything! 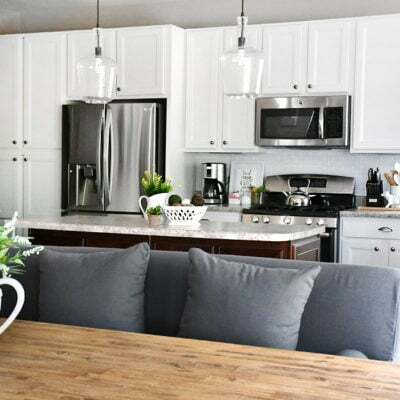 For more DIY Build Projects, CLICK HERE. These are so beautiful!! So dreamy…. 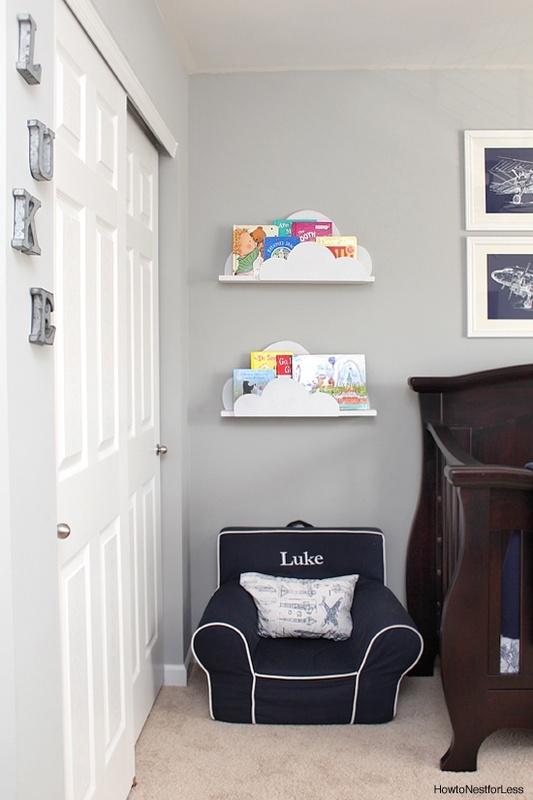 Really great job on making these like the Land of Nod shelves! What an awesome bookshelf! In addition, it looks really easy to make! Thanks for sharing this ideas with us and keep up the good work! These are amazing! I needed these for my kids nursery back when I did it. I used lots of clouds and grass. 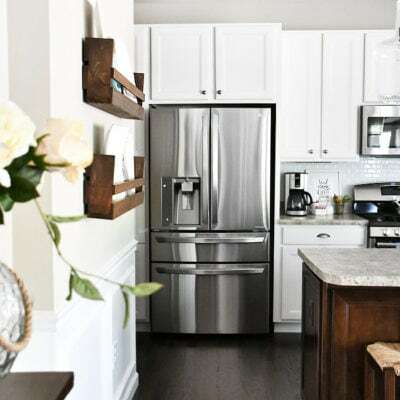 Love these shelves they look really sweet. These are adorable – what cute idea. 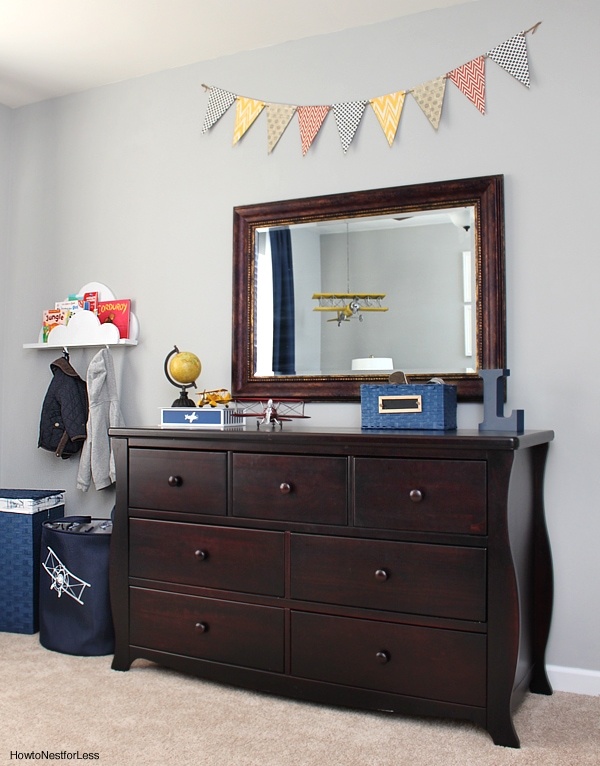 Pinning to share and think about making for my grandson’s nursery. Love this idea!!! My little guy’s nursery has a rain cloud mobile and some vinyl clouds on the wall above his crib. These would be perfect! And you’re right..the shape possibilities are endless!! Thanks so much for sharing..this just might have to go on the to-do list! These are so sweet. My girls have their books displayed on a upcycled palette but this is by far cuter! These are so fun! Thanks for sharing your crafty inspiration on this week’s Monday Funday Party! Hi! Saw you featured at Work it Wednesday. These are fantastic, I think I’ll make them for my son’s nursery! So gorgeous!!! These are my to-do list for sure. Nice idea! Plus…I love finding crafty St. Louis moms! Love this idea – going to make for my grandkids playroom in my house!!! The instructions are super. Erin I love these shelves! They are so cute and cleaver! 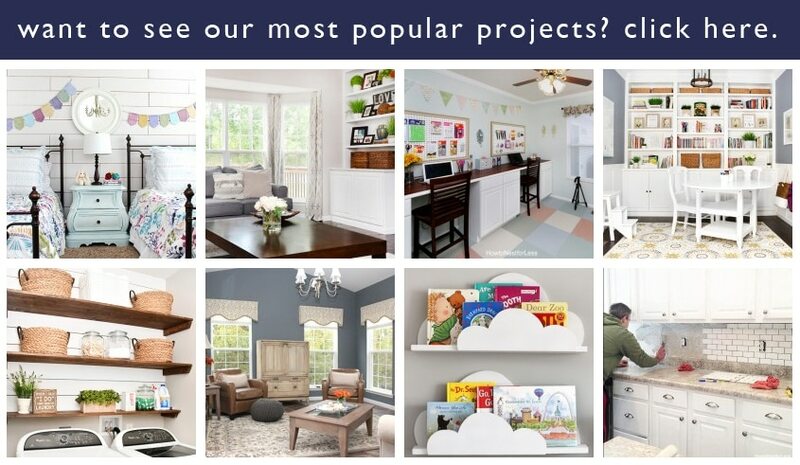 I picked you as my rock star feature at Creativity Unleashed, don’t forget to come and vote for your project! Hugs! Sorry I don’t. I just free handed it from a drawing I found on the web! These are amazing! We just made them following your instructions for our son’s nursery! What did you use for paint? We used bher from home depot and the result is terrible 🙁 not sure if it’s because we randomly brushed the primer on, but the paint job we did looks terrible! Luckily we’ve only painted 1-any advice? OH NO!! I actually used Rustoleum white spray paint. Covered really well and smooth. Hope it gets better for you! I love these and have been waiting to make them. Now that we are making a loft bed for my daughter it is the perfect time to make some cloud shelves so she can keep some books up in her bed for easy access. Here is a different question… What is the name of the wall color in your pictures. It looks like a gray and I love it. I would truly appreciate it if you could share. Thank you! Coastal Pleasure by Clark+Kensington at Ace Hardware! Super idea for my 1st Grandson’s room! Had to put my own touches on them though…added a rising sun peeking out between the two clouds on the front panel. It added a bit of color and fun to the shelves! Thanks for the great idea to get me going!! So I made them and they turned out great. Thanks for the tutorial, but your estimate of 2 hours is pretty unrealistic for 3 shelves. Painting them alone took longer than that considering multiple coats and dry time. Im working on mounting mine now and finding studs/planning where to put them, takes a lot of work. Hell, getting the shape drawn took a good half hour. 2 hours is a joke. More like 2 days (asuming you have a baby to deal with). So adorable!I Will be doing this!for my girls room! !gratis job&thank you for the idea!!???????? These are adorable, and I have been looking to have them made. Yes, we are in St. Louis!! Do you take orders? If so, Can you shoot me an email? Love to DIY , love the site.